MROZINSKI was born to a working-class family on the Northside (Willlamsburg/Greenpoint), Brooklyn, New York. At age 5, his Mom (may she rest in peace) bought him a $39 chord organ, and from this point MROZINSKI began teaching himself music. At the age of 12, MROZINSKI became the Church Organist and Choir Director at St. Vincent's for the next 12 years. While there, he was solicited to join a local band which led to gigs with Northside Brooklyn bands such as Odin, South Side Panic and Incident. A fortuitous meeting with refugees from MainMan and MROZINSKI's rockstar career began and flourished with gigs at Max's Kansas City, CBGB, the Ritz, Studio 54 and countless New York and East Coast venues. which led to a Top Ten hit in Italy with the punk/rock/disco anthem "Give It Up, Kid". 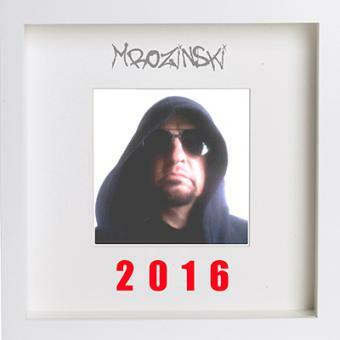 Long story short, since then, MROZINSKI has penned thousands of songs, soundtracks, web projects and concept suites, now reaching a global audience. Today, MROZINSKI MUSIC MINISTRIES brings a message of peace and possibilities.